Say hello to Lux Row. 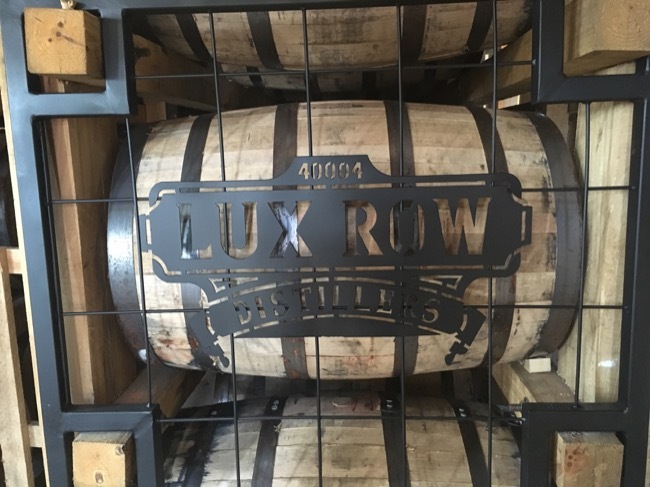 So yesterday I was out most of the afternoon at the grand opening ceremony of Lux Row Distillers in Bardstown. Along with tours and bourbon, they had a whole barbecue spread — hot dogs, hamburgers, pulled pork. I thought I died and went to bourbon heaven. Of course I stayed as long as I could, soaking up the new distillery and also soaking up some Rebel Yell 10 Year Single Barrel and Blood Oath. Yum and yum! Anyway, here’s the link to the story, if you are curious to see more pictures. I highly recommend a visit. And you’re in luck, as tours officially start today!